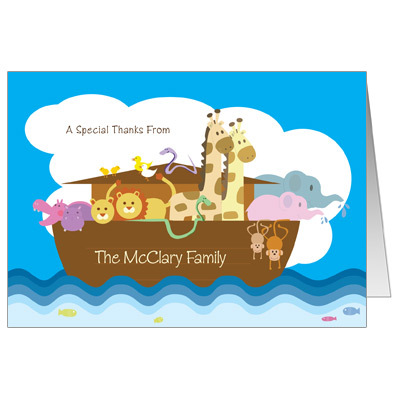 Send a word of thanks to your family and friends with this adorable thank you card! Features an ark full of cute animals and a simple, playful font. Folded card measures 3.5x5.